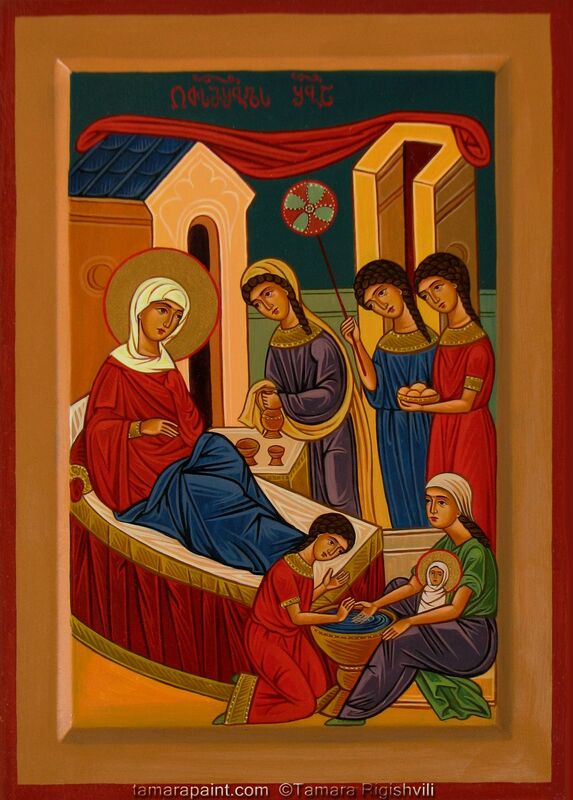 The cause of our joy today is the birth of the Virgin Mary! Let us join her in singing the praise of God! ~ my spirit dances with joy in God my savior! Give us your own tranquility, And strength and comfort in our days. Whose branches spread to shelter us, Whose quiet leaves all peace unfold. The Abba, Word, and Spirit blest In endless light and timeless days. Amen. pray for us, O Mother of our God! my tongue as skilled as a scribal pen. how greatly God has blessed you! leave your family and home behind. you may share the gift of your love. the whole of the people pay you honor. your robes embroidered with pearls and gold. you enter the palace of your Love. and reign with justice throughout the land. May the people praise you from age to age. who are called according to his purpose. and those justified were also glorified. R. This day brought forth the Holy One, the Mother of the Savior. She is *the Throne of Wisdom, the Ark of the Covenant, the most blessed of all women. V. We celebrate your birthday O Holy Mother of God. *The Throne of Wisdom, the Ark of the Covenant, the most blessed of all women. V. Glory to the Abba and the Word and the Holy Breath of Love. 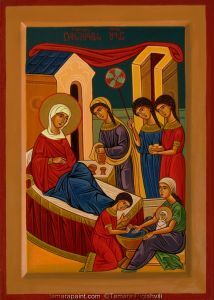 This day of your birth, O Blessed among women, signals joy to all the world. For from you arose the Sun of Justice, Christ our God. He vanquished death and gave us eternal life. ~From one generation to the next. ~And fill the hungry with good things. ~Show us your loving kindness. ~And you will renew the face of the earth. May the Word of God, born of Mary of Nazareth, bless us with her courage and strength. ~Amen.